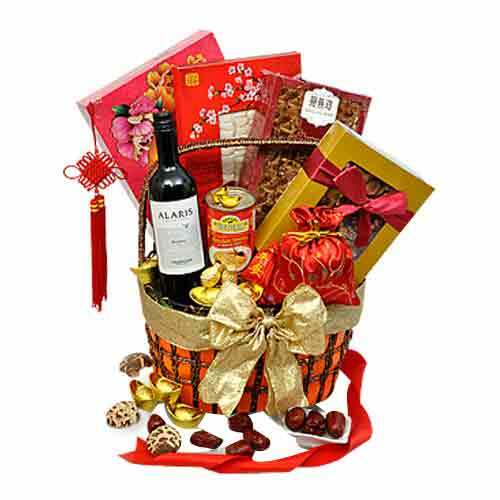 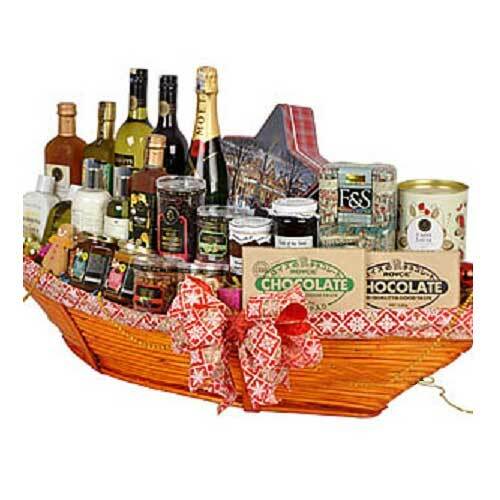 Description: Sparkle happiness into the lives of the people you care about by sending them this Deluxe Selective Fruit Gift Hamper and make them feel more loved and lucky. 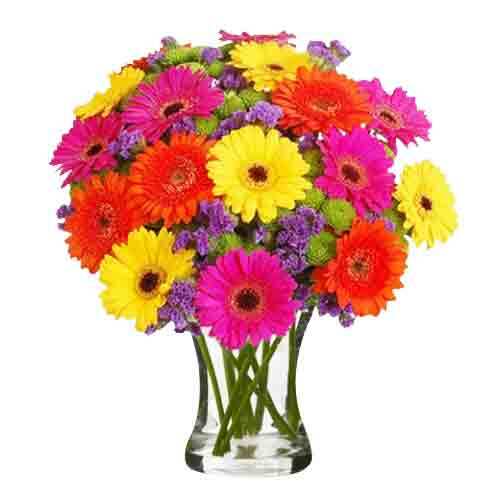 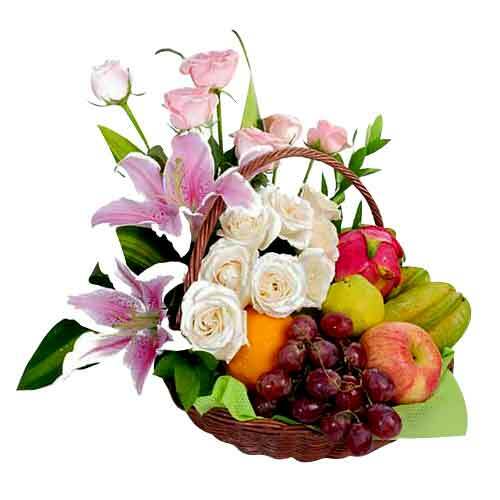 This charming Gift Basket offers Red Apples, Green Apples, Sweet Oranges, Gong Pears, Grapes and Bananas paired with Roses, Pink Lilies, Statice Purple with Ruscus. 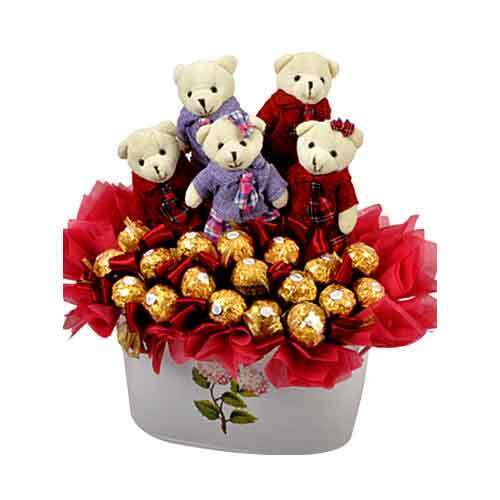 Note: The Fruits may be substituted with the similar price Fruits, in case of non-availability. 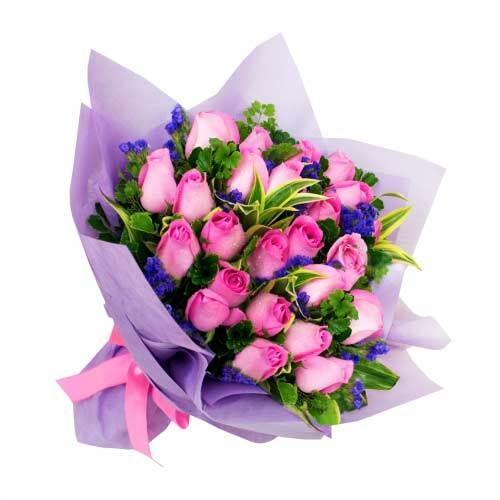 "Perfect for any celebration, this Exceptional Bouquet of 12 Pink Roses will fetch you appraisal. 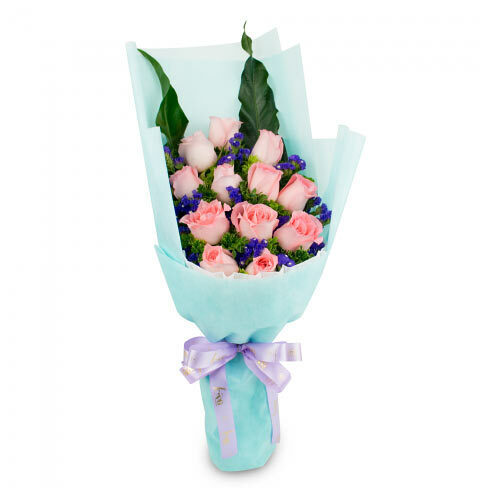 This Bouquet of Purple Roses is introduced along with Purple Statice, Tea Leaves and Jasmine Leaves further accentuated with Paper Wrapper and Ribbons.